Mr James McKenna was the 7th Mayor of Patea in 1894, serving the very new township & surrounding district’s for 3 years. The Patea Borough Council had only been established for 14 years, & at this stage their Offices were still in the old Literary Institute at 3 Oxford Street. His popularity was apparent when he was re-elected as Mayor in 1911, after Mr Clarke & Mr Williams were Mayors in the years in between. He was on the Council for a total of 20 years when he stepped down just before WWI in 1913 at the age of 57 years. James had immigrated from his picturesque, hometown, of Ogonnolle in County Clare Ireland, as a 17 year old to the ‘land of opportunity’ on the other side of the world. He arrived in Wellington in 1873 & started work in Wellington for the Gear Meat Company, but it wasn’t long before he moved north to Patea, the bustling town with endless prospects. He started work for John Gibson, in his large Store on Egmont Street, learning the business of importing & trading from the bottom up. By 1882 he has opened his own Grocery & Homewares Store at the top of Bedford St, near where the Whale Bone Sculpture is now. James was in partnership with a Mr Cullinan, & their advert in the Patea Mail at the time says they do free delivery in town & to country areas. In 1887 James married Ann Jane Quin, from the well known Quin family of ‘Highlands’ farm near Eltham. Her brother AA Quinn owned a brick works in Hawera at the turn of the century. 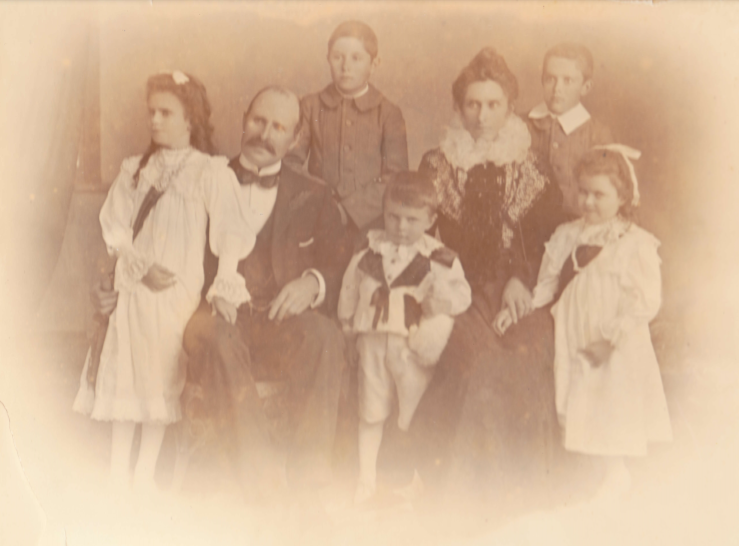 James & Ann had five children – St Laurence Augustine 1888, Francis Stuart 1889, Eileen Teresa Anne 1892, Kathleen Maude 1895, James Frederick 1897. By the early 1890’s James had purchased the large two storey Building opposite his first Store at the top of Bedford Street from Mr S Taplin & continued the importing, trading business in an even bigger way. When the children were young, the family lived in the top storey of the landmark ‘Corner Store’ with a commanding view over the town & River. 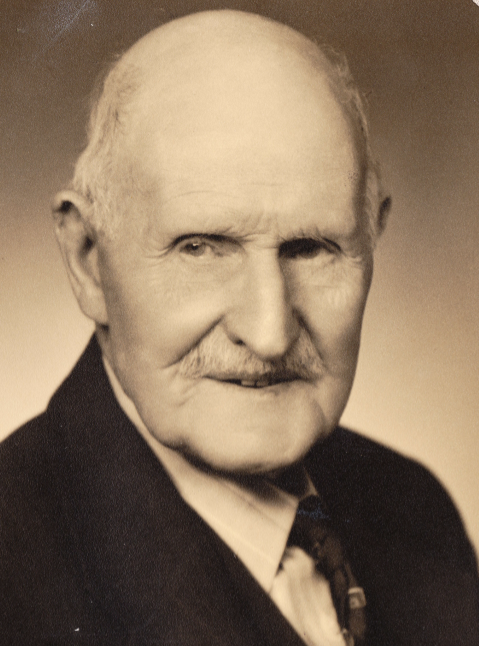 During the years that James & Ann owned this prosperous Grocery business, James was also very busy as a director on several local Boards; Western Packing & Canning Company, Hurleyville Dairy Company, South Taranaki Finance Company & the Patea Harbour Board to name a few. He was also a shareholder of Graves Brickworks in Patea which went into receivership in 1909. James financed this company back into production for a few more years at least. He was Chairman of the Patea Harbour Board from 1901-08, during which time the western wall was built. His granddaughter, Joy, told me how James went to England to study the sea walls on the Cornish Coast to ensure that the Patea wall would stand up to the test of time. By 1900 the McKenna family needed to get a home of their own, away from their busy retail business. James choose one of the higher areas of town, with views down the Patea River & out to sea, & built a spacious villa at what is now number 25 Norfolk St. Joy told me how he could look out the bathroom window while he was shaving in the morning & see the Brickworks, the Freezing Works, the sea walls, & the Boats coming into the Patea Ports. He enjoyed sports too. He founded the Patea White Star Football Club in 1895, & was patron of the Patea Bowling Club in later years. James really was a ‘self made man’. He arrived here with nothing but energy & optimism, which stood him in good stead & he held on to it for the rest of his life. He & Ann had invested their income wisely in dairy farms in nearby locations. In time they owned five productive farms in Hurleyville, Eltham, Waverley, Kakaramea & Otoia. Sadly Ann died in 1921, at a young age of heart disease. I’ve had some long, interesting conversations with Eileen’s daughter Joy Seton. Joy moved back to Patea in the 1920’s with her mother & brother Des, to live with James. Joy’s father Private George D Smith 19619, had returned home from WWI with injuries that eventually killed him. He was in the Pioneer Maori Battalion. (His Maori name was Te Oti or Te Ati Te Mete Ngati Ranginui, he was from the hapu Ngati Hangarau. His father was Te Mete Raukawa and his Mother was Whareangiangi daughter of Chief Kereti who wrote the rules of engagement for the battle of Gate Pa). 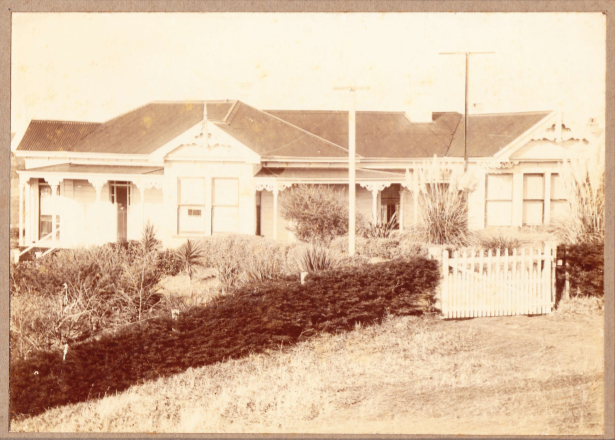 The widowed Eileen spent the rest of her life living with her busy Dad at 25 Norfolk St. Joy & Des went to School in Patea, & Joy has fond memories of their idyllic childhood here. The McKenna home had 5 bedrooms, 5 fire places, a large sitting room, kitchen, & dining room with a full sized Billiard table, that had a top on it most of the time so it could be used as a dining room table. There was a flag pole outside, with a flag flying most of the time. The gardens had been laid out by Ann, they were full & colourful. There was a fresh water spring in the middle of a lawn, that had been planted around to highlight its beauty. James was a keen horseman, & there were always ‘resting’ racehorses in the paddocks around the house. Joy learnt to ride on these huge animals as a young girl. He later bred Greyhounds for coursing, so the tennis court became taken over with kennels & areas for the greyhounds to lounge around. There was always a house cow in the paddock too. A local man would milk it every morning in a small lean to. He would take enough milk home for his payment, & leave the rest for the McKenna household. Every Sunday after church James would take his daughter Eileen & Joy & Des to the big old two storey wooden Kakaramea Hotel to have Sunday Roast lunch with his other daughter Kathleen, who ran the Hotel with her husband Jack Bourke. When Joy went to the McKenna farm in Ogonnolloe, Clare in Ireland, where her Grandfather had been born, she knew why he had choosen the spot on Norfolk Street to build his home…it looked over the Patea River, in the same way his family home in Ireland looks over the Shannon River. Joy’s son Chris Lewis also spent time in Patea living at the McKenna home with his Grandmother Eileen in the 1960’s, while his parents were overseas. His Grt Grandfather James had died by this time. Chris told me his most enduring & vivid memories are of climbing up and standing on the handrail at the end of the front veranda on moonlight nights watching a steam train coming along the railway line above the River…chugging slowly along with a heavy load, & carriages rattling, with great clouds of steam panting high into the night sky..... A scene that James would have enjoyed often, in his time. Chris told me his mother told him the story of how she was so excited to see her Grandfather James one day in town on her return from Sacred Heart boarding school Whanganui , that she ran down the street towards him.. James put his hand up to stop her & said quietly ‘ladies do not run in the street’. Joy didn’t need to be told that again. He was a true gentleman who lived a long, healthy life. He had driven his own car until a couple of years before he died, & was recognised as the oldest & longest serving JP at the time. He had good sight & hearing till he died at the age of 95 in 1951, he is buried just inside the Cemetery gates at Patea. James & Anne (nee Quin) McKenna with their children in about 1900, Laurie eldest son at the back, then Frank & youngest Fred. Eileen (who married George D Smith) on left and Kathleen (who married Jack Bourke, Kakaramea Hotel).